Unveiled on Saturday night by Mexico's new leftist government, the budget displayed more fiscal discipline than some market watchers had expected, taking funds away from some areas and limiting new spending plans in the short term. 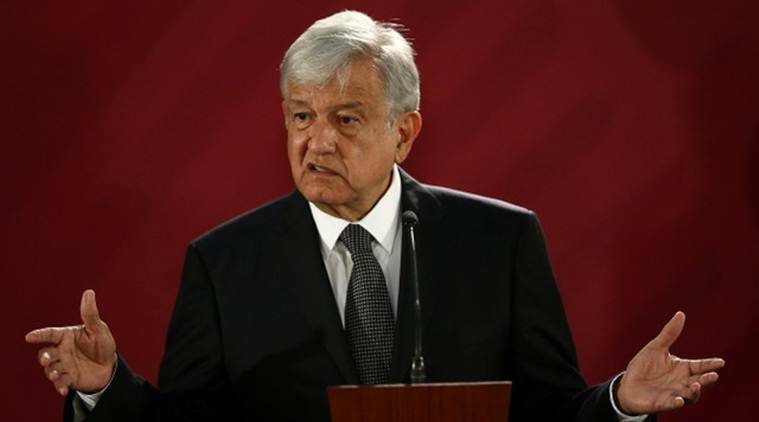 Mexican President Andres Manuel Lopez Obrador on Monday defended deep cuts to several ministries’ budgets, saying savings investors described as prudent were made by trimming wasteful expenditure to allow extra cash for welfare and infrastructure. Unveiled on Saturday night by Mexico’s new leftist government, the budget displayed more fiscal discipline than some market watchers had expected, taking funds away from some areas and limiting new spending plans in the short term. Lopez Obrador, who took office on Dec. 1, swept to a landslide election victory on promises to clean up government and end what many Mexicans see as the excessive lifestyles of their rulers. He has turned the palatial presidential residence into a cultural center open to the public, is selling some of the government’s fleet of planes, and is trying to cut the salaries of top bureaucrats, measures that may not save much money but that add to his austere reputation. “The corruption is over, the waste is over, the budget is going to go further,” Lopez Obrador said at his daily news conference on Monday, adding that no previous administration had destined so much money to the poor. The budget is expected to be approved by Congress in coming days. It is a major test for the president’s economic credentials, which were tarnished by a decision in October to cancel a partially-built Mexico City airport, a move that triggered a warning from rating agency Fitch and weakened stocks and bonds. Lopez Obrador, 65, needs to keep markets on side as he seeks financing for a new oil refinery and a train linking Cancun to Mayan ruins. The moderation shown in budget calculations was aimed at restoring the government’s credibility with investors. “The OK budget, in our view, will buy the government some time before the credit rating agencies make any decisions,” wrote Gabriel Lozano, an economist at JP Morgan in Mexico City. While Standard & Poor’s cautioned that the government’s commitment to its financial targets would only really be known in months to come, it praised the plan as credible and helpful to sentiment. Fitch on Monday suggested it would not quickly change its negative outlook for Mexico, imposed after the airport decision, saying it reflected broader uncertainty about the new government’s policies, including the role of the private sector in energy. Lopez Obrador set aside an extra $3.7 billion aimed at jump-starting ailing state oil company Pemex. He earmarked $7 billion for cash-transfer programs for the elderly and unemployed youngsters, but that was less than had been expected. To fund the new plans, the budget proposes some steep cuts for parts of the federal government, including a third less for the environment ministry. It is also proposing a 6 percent reduction in the budget of the public National Autonomous University of Mexico (UNAM), the largest university in Latin America. That prompted criticism from opponents and some supporters that he was failing on election campaign promises. Much of the new spending covers pledges made during the campaign. In the lower house of Congress, where Lopez Obrador’s National Regeneration Movement (Morena) party holds a majority, Finance Minister Carlos Urzua faced loud protests from opposition parties on Monday. Conservative politicians held up placards protesting the cuts, including less money for gender equality initiatives and some human rights organizations. Standard & Poor’s Mukherji said such complaints could be a taste of things to come and a test of the administration’s mettle. Deputy Finance Minister Arturo Herrera suggested the budget might be adjusted as it passes through Congress. “We know budgets can be perfected,” Herrera told radio station Aristegui Noticias, saying the government was open to reviewing cuts, including those to the university.